The Ed Dunsavage Trio from Ashland at Pops! 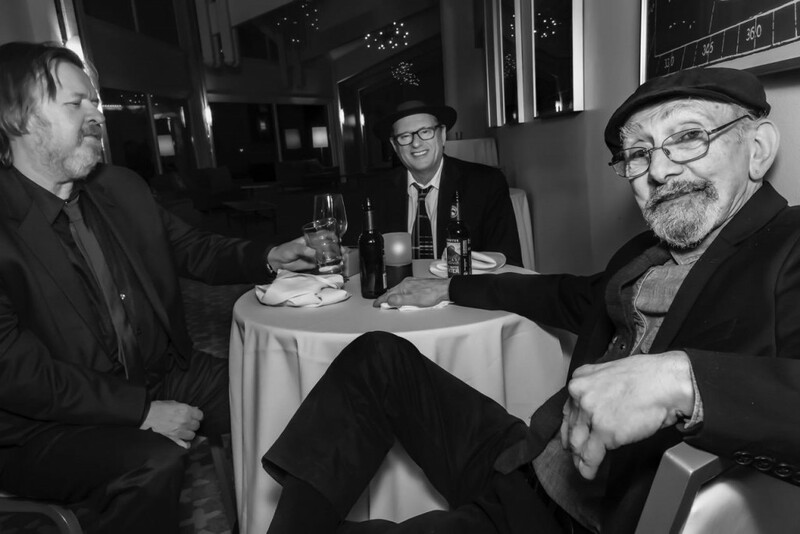 Voted Favorite Jazz Group in the Ashland 2017 Sneak Preview Readers Poll, The Ed Dunsavage Trio features Joe Cohoon on upright bass and Gary Chicken Hirsh on the drums. The trio has be playing music together for over 25 years. They will present an evening of straight ahead jazz guitar trio music at Pops, performing music from their latest recording Homage which is a tribute to many of the jazz guitar greats including, Wes Montgomery, Pat Martino, Jim Hall, Pat Metheny, Barney Kessel, Charlie Byrd andothers. Originally from the east coast, guitarist Ed Dunsavage has been performing regularly around the Pacific Northwest for 2 years. He has performed at many venues and festivals in the area including the Upper Sacramento River Jazz Festival, The Umpqua Jazz & Wine Festival, The Medford Jazz Jubille, The Newport Oregon Jazz Festival, The Britt Festival, The Craterian Theatre, The Jazz Project in Bellingham Washington, the Blue Note jazz club and The Oregon Shakespeare Festival. Ed has shared the stage with many wonderful artists including Bernadette Peters, Greta Matassa, Craig Chaquico, & Mimi Fox & Howard Alden, Dmitri Matheny and Ken Peplowski among others. Ed also is the guitar instructor at Southern Oregon University and works as artistic and education director for the Siskiyou Music Project, a non-profit, arts and education organization based in Ashland, Oregon. Gary Chicken Hirsh on drums. Gary is a long-time resident of Ashland but is better known to many people as the original drummer for the 60s San Francisco rock group, Country Joe and the Fish. During the 60s he performed at all the major rock concerts in the U.S.A and through-out Europe. He has worked with everyone from Janis Joplin and Jerry Garcia, to Pharoh Sanders and Frank Zappa. He came out of retirement twenty five years ago to perform the music that he loves, jazz! On acoustic bass is Joe Cohoon. Joe and Ed have been playing music together for over 25 years. He worked for many years in the Portland area performing in various rock and blues groups and currently performs with Duke Street and Robbie Dacosta and has shared the stage with Chuck Redd, Ken Peplowski and Dmitri Matheny. Wild Roots Children’s Concert “Wild Roots” is a local Siskiyou County duo playing fun and interactive music for children and families. Wild Roots originated in 2000 in Etna, California and through the years has performed for schools, camps, and community programs. Although two of the original members (Rick Perkins and Karen Arruda) are no longer with the band, the music continues with Annie Kramer on guitar and vocals, and Jerry Hamlin on percussion. A Wild Roots concert includes plenty of opportunities for kids and adults to join in the fun of singing, playing, and moving to the music. This concert is sponsored by First 5 Siskiyou and hosted by the Dunsmuir Community Resource Center. Courtesy of First 5, books about music will be available at no cost for children 0-5. There will also be an opportunity to sign up children 0-5 for the Dolly Imagination Library, gifting a child with a book once per month for an entire year.